"IMPRESSIVE. HIS KNOWLEDGE AND GUIDANCE REGARDING THE INTERSECTION BETWEEN LEGAL AND COMMERCIAL MATTERS IN FINANCE IS WHAT MAKES HIM STAND OUT." Partner at Headrick Rizik Alvarez & Fernández. Mr. Senior concentrates his practice in matters of civil, commercial and business organizational laws generally, with an emphasis on mergers & acquisitions, banking and financial transactions and foreign investment. Mr. Senior’s practice has been recognized by several international publications. Chambers & Partners distinguishes Mr. Senior in its 2019 Corporate/Commercial guide, highlighting client feedback such as “he is extremely professional in how he deals with us. 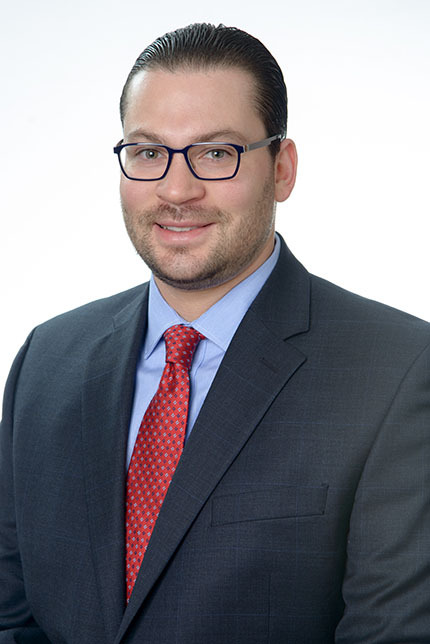 He responds in a timely manner, and he strives to understand our needs and seek solutions” and that “his knowledge and guidance regarding the intersection between legal and commercial matters in finance is what makes him stand out”. The IFLR 1000 – Energy & Infrastructure 2018 guide praises that Mr. Senior’s energy and infrastructure practice, noting that client feedback such as “he was always available, he took on a very complex transaction in a unique area of law and showed himself very willing to learn new material in order to apply his advice. He was quite commercial in his approach in addition to providing strict legal advice which was useful.” Likewise, the IFLR 1000 – Financial & Corporate 2018 guide notes that clients specifically recommend Mr. Senior for banking and finance matters. LatinLawyer 250 – 2018 notes that Mr. Senior is a “high profile figure in the practice” and. Finally, the Legal 500 – 2019 praises Mr. Senior as a “key name of note” and notes several transactions which he has led. In his practice, Mr. Senior regularly counsels foreign and domestic clients in mergers and acquisitions, the negotiation of all types of commercial agreements, tax matters, financings, corporate reorganizations as well as tourism and industrial free zones investments. Additionally, Mr. Senior is experienced in the supervision and strategy of dispute resolution matters, with an emphasis on disputes related to foreign investment. Prior to joining Headrick Rizik Alvarez & Fernández as a partner, Mr. Senior worked for six years as an associate in the New York office of Sidley Austin LLP. Mr. Senior was a member of the Mergers & Acquisitions, Latin America Practice, Private Equity and Investment Funds, Advisers and Derivatives practice groups. During his time at Sidley, Mr. Senior’s practice was focused on counseling international firms and investors in mergers and acquisitions in the United States and in Latin America. Mr. Senior also represented financial institutions and sponsors in the organization, operation and investment-related aspects of private equity funds, with a focus on Latin America. He also served as creditor’s counsel in a number of restructuring and distressed transactions in all regions of the world. Finally, he has had experience in capital markets transactions, loan origination transactions and structured finance matters. Counsel to Vinci Airports SAS in the acquisition of Aeropuertos Dominicanos Siglo XXI, S.A. (Aerodom), operator of 6 airports in the Dominican Republic, including the airport in the capital city of Santo Domingo. Counsel to Centro Financiero BHD in its merger with Grupo Financiero León, one of the largest and most important transactions in the history of the Dominican financial sector. The transaction involved assets of over US$4 billion. Finalist for the “Latin America M&A Deal of the Year – Latin Lawer”. Counsel to The Bank of Nova Scotia in a US$463 million project finance loan extended to Phoenix Tower International and Phoenix Tower Dominicana. Counsel to The Bank of Nova Scotia in a US$50 million project finance loan extended to Coastal Petroleum Dominicana. Counsel to Royal Gold, Inc., in a US$610 million minerals streaming transaction entered into with Barrick Gold, Inc., with reference to the Pueblo Viejo mine in the Dominican Republic. Counsel to Third Point and Discovery Land Company in their acquisition and project development of the Playa Grande Golf Resort. Counsel to Citiinversiones de Títulos Valores, S.A., as underwriter and structuring agent, in two US$100 million bond issuances by EGE Haina in the Dominican Republic. Counsel to Citibank, N.A., Sucursal República Dominicana, as administrative and structuring agent of a US$80 million syndicated loan extended to Consorcio Minero Dominicano. Counsel to Grupo BHD in the purchase of shares in Centro Financiero BHD held by Banco de Sabadell in a transaction with a value of over US$150 million. Counsel to Point Blank Enterprises in its establishment as a free zone enterprise in the Dominican Republic as well as certain other related matters. Counsel to a South America-based conglomerate in the acquisition of the Manzanillo Port in the Province of Montecristi, Dominican Republic. Counsel to an international manufacturer of products regarding its review and planning of litigation strategy for products liability matters. Counsel to several international financial institutions regarding operations and services in the Dominican Republic. Member of the Board of Directors of the National Association of Young Business Leaders (ANJE) and Co-Chair of the Legal Committee of such institution. Chair of the Dominican Republic Country Chapter of the International Section of the New York State Bar Association. Member of the Executive Committee of the International Section of the New York State Bar Association. Professor of Banking Law in the Banking Administration Master’s Program of INTEC University (Santo Domingo). Professor of Torts Law at the Post-Graduate Program at the Universidad Iberoamericana (Santo Domingo). Co-author of “Banking and Securities Checklists (Dominican Republic)”, published by Law In Context (2016). Co-author of “Getting the Deal Through – Restructuring & Insolvency 2016” (Dominican Republic”. Co-author of “Getting the Deal Through – Products Liability 2016” (Dominican Republic”. Contributing author, “Doing Business Guide – Dominican Republic”, published by IFLR1000 (2015). Contributing author, “Dispute Resolution – Dominican Republic: An Introduction”, published by Chambers & Partners (2014).